One of the ways we have fun and raise a little money for our church is by presenting Murder Mystery Dinner Theatres. Our group of actors have dubbed themselves The No Hope Players. 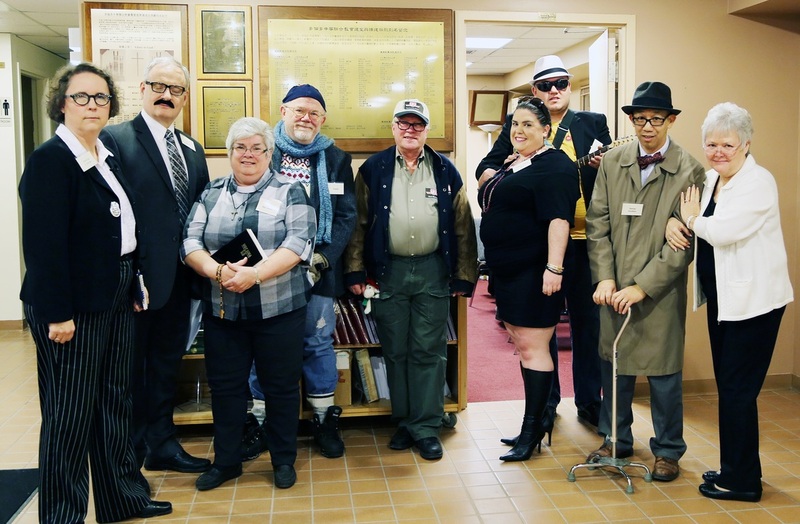 "Murder on the Kennedy Express"
We won't say who is who but the cast includes the ministers from each congregation, New Hope's Chair of the Board, the Treasurer, the Administrator, the chair of M&P, a patient and funny husband and a talented friend of New Hope. Thanks to you all - you are good sports and great fun!